Giulietta Ulloa, a licensed real estate agent in the Brickell, Florida market has joined the prestigious Haute Residence Real Estate Network. Giulietta Ulloa, a licensed real estate agent in the Brickell, Florida, market, has joined the prestigious Haute Residence Real Estate Network. The Haute Residence Real Estate Network (Hauteresidence.com), affiliated with luxury lifestyle publication Haute Living, is proud to recognize Giulietta Ulloa as a prominent real estate professional and the network’s newest partner. Haute Residence unites a distinguished collective of leading real estate agents and brokers, highlighting the most extravagant properties in leading markets around the globe for affluent buyers, sellers, and real estate enthusiasts. Giulietta Ulloa has been living in Miami and working as a real estate agent since 1997. As a multimillion-dollar top producer, she is a reliable agent and a caring human being. Integrity and professionalism infused with individualized care are the hallmarks of her service, which is aimed at effectuating a smooth and satisfactory transaction for clients, from beginning to end. 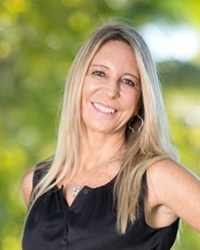 Originally from Lima, Perú, Ulloa, who is fluent in Spanish, English, and Portuguese, left her career in marketing and communications and brought her family to South Florida in 1996, when she began practicing real estate. This enabled her to create highly-targeted real estate marketing strategies that yield maximum returns, while minimizing market time. “For each client I strive to find the right property and the best deal, offering the optimal return on investment through research, and coordinate the entire transaction,” she says. Since the beginning of her real estate career, Ulloa has established herself as one of top real estate agents. Her extensive knowledge of the entire market and preconstruction projects throughout South Florida, especially in the Brickell area, as well as her keen ability to market these opportunities to client bases, both locally and abroad, has been vital to her success. Her interpersonal skills and tactful approach to understanding a customer’s needs and wants are some of her greatest assets. Ulloa lives in Key Biscayne with her husband Santiago Ulloa––who is originally from Spain and is a successful founder and managing partner of a leader wealth management company––and their children. She specializes in the sale of single-family homes and condos in Brickell, Key Biscayne, and Sunny Isles.